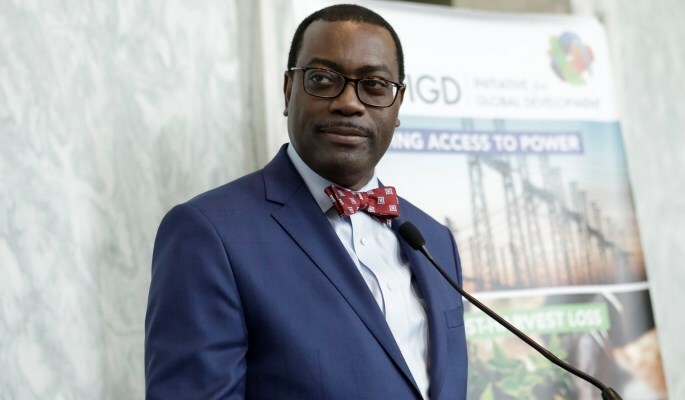 SEOUL – Sunhak Peace Prize Laureate Akinwumi Adesina has pledged to do more to advance Africa’s fight against hunger, poverty and youth underemployment. The President of the African Development Bank and co-Laureate Waris Dirie, a global champion against Female Genital Mutilation, shared the prestigious US $1million dollar prize at an award ceremony held on 9 February in Seoul, South Korea. “There is tremendous suffering going on in the world. While progress is being made, we are not winning the war on global hunger. There cannot be peace in a world that is hungry. Hunger persists in regions and places going through conflicts, wars, and fragility. Those who suffer the most are women and children,” Adesina said during the award ceremony. Adesina who believes a peaceful world will be a food-secure world pointed out that only 1% of the world’s richest own 50% of global wealth. More than 1,000 influencers from over the world including current and former heads of state and government, private sector leaders, investors, and development expertsPrize anded the SunHak Peace Prizeand the Peace Summit of Global Leaders.